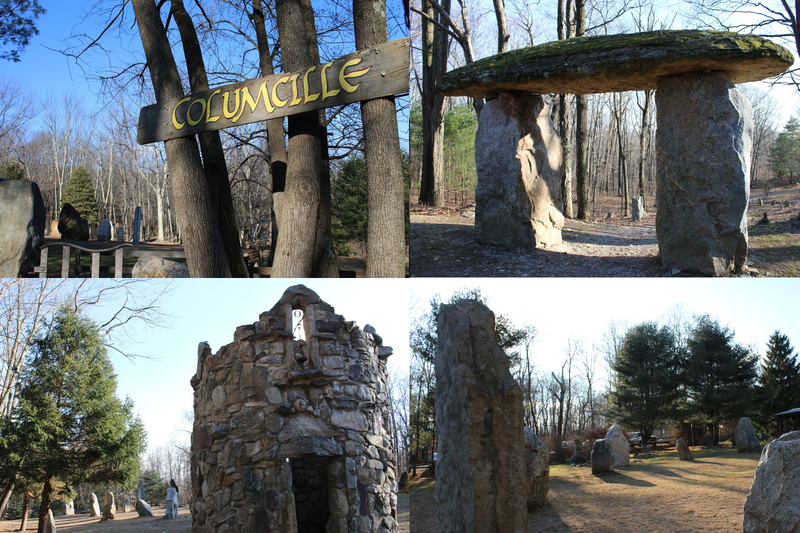 Columcille Megalith Park is one of the strangest, most serene, and coolest things that I have seen in the state. It has a series of randomly placed boulders and has been referred to as the "Stonehenge of Pennsylvania." You can get an experience of Scotland's Isle of Iona on the edge of the Poconos in the northern reaches of Northampton County. As a labor of love of Scottish and Irish culture and mythology, this mysterious area is filled with different boulder creations that are just a short distance from the nearby Appalachian Trail. This destination in itself is a light hiking/nature walk destination. 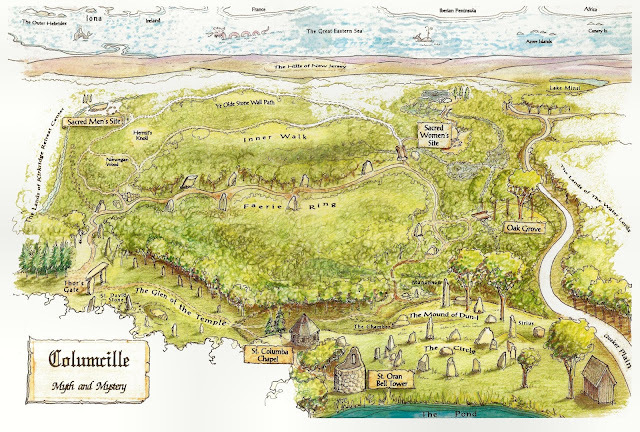 For starters, the land on which Columcille sits is just spectacular. It is within a half mile of the Fox Gap Trailhead of the Appalachian Trail, right across a ridge that is home to a multitude of overlooks, including Wolf Rocks. It is also within a 15 minute drive of the Delaware Water Gap, a twenty minute drive from Big Pocono State Park, Camelback Ski Area and Indoor Waterpark, the outlets at Tannersville, Stroudsburg, Mt. Pocono, and more. If you are looking for a relaxed and off the radar place to visit in the Poconos, this is it. As soon as you enter the grounds, you can tell that this place is a spectacular labor of love. Brilliantly placed boulders, neat signage, well-manicured landscaping that has simultaneously preserved the wooded setting of the area, and so much more. Looking at the official map of Columcille, it is tough to make sense of what is there. The best thing to do is simply explore and draw your own conclusions about what you see. This place is a creative wonderland that has surprises around every corner. On the left you can see the St. Oran Bell Tower. It was modeled after some 8th Century ruins in Ireland. This land of quiet retreat, serenity, and relaxation was started in 1977. By 1997, there were over 80 standing stones in the megalith park, which was no small feat, considering the sheer size of the boulders. I pretty much zig zagged around the entire place. The creativity is awe-inspiring and relaxing. Here is the Bell Tower again! This is probably my favorite section of the place. The stones are arranged so mysteriously. As you go deeper into the woods, you start to see more intricately stacked boulders. And I believe that this creation is what draws some people to dub this as the "Stonehenge of Pennsylvania." I would love to see how the caretakers of this land were able to accomplish this feat. I also love seeing boulders that are covered in moss and lichen. Did mention that the land at Columcille is beautiful? Columcille is a place that you need to check out. Located in Bangor, it is within easy reach of pretty much any place within the Poconos and it is located in an absolutely beautiful area. It is located within a half mile of the Fox Gap Trailhead of the Appalachian Trail, right across a ridge that is home to a multitude of overlooks, including Wolf Rocks. It is also within a 15 minute drive of the waterfalls at the Delaware Water Gap, a twenty minute drive from Big Pocono State Park, Camelback Ski Area and Indoor Waterpark, the outlets at Tannersville, Stroudsburg, Mt. Pocono, and more. If you are looking for a relaxed and off the radar place to visit in the Poconos, this is it.